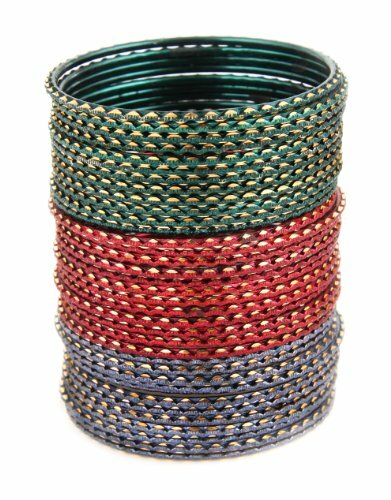 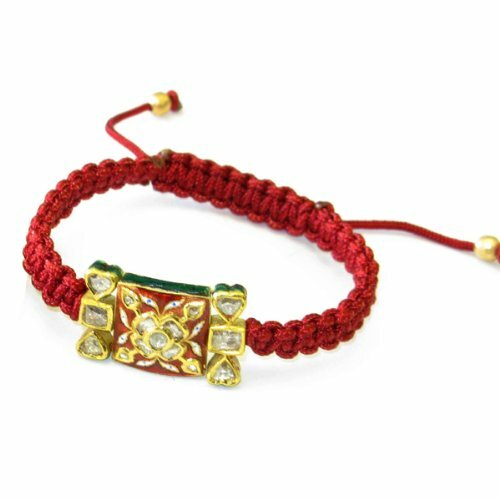 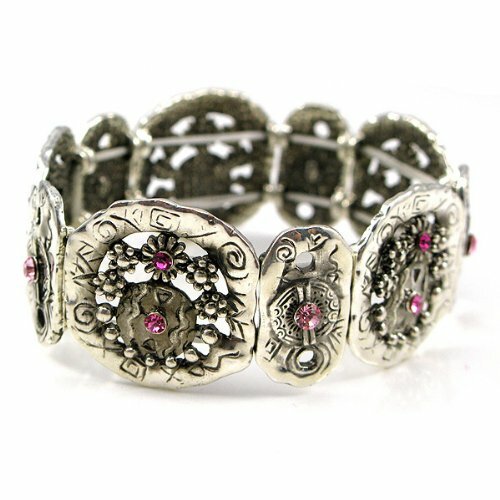 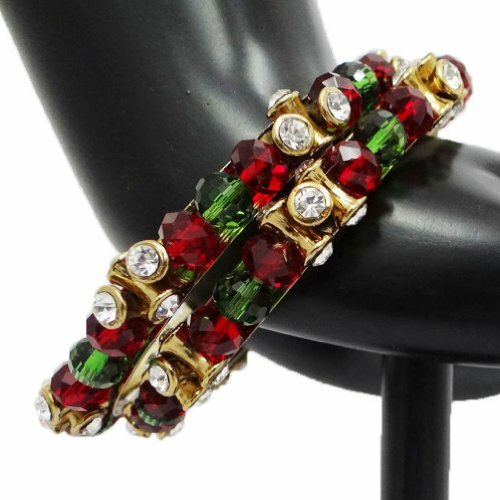 This beautiful bracelet is great for any occasion! 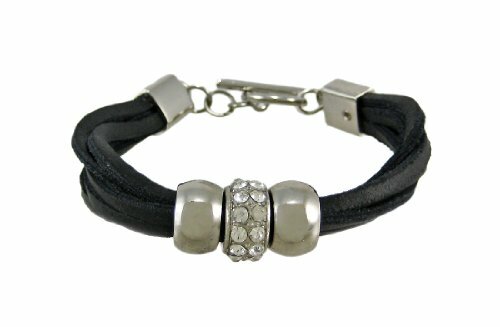 It measures 8 1/2 inches long, 1/2 inch wide, and fits wrists up to 7 1/2 inches. 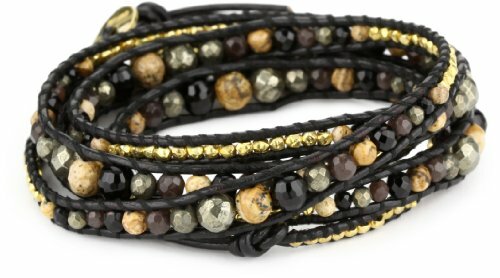 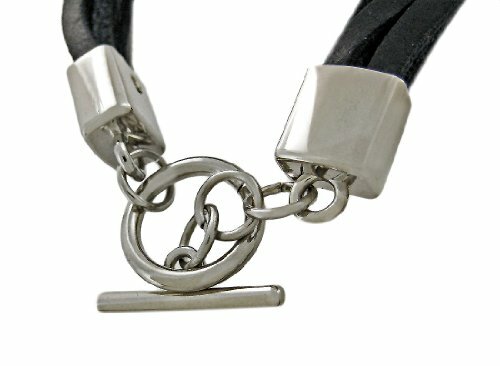 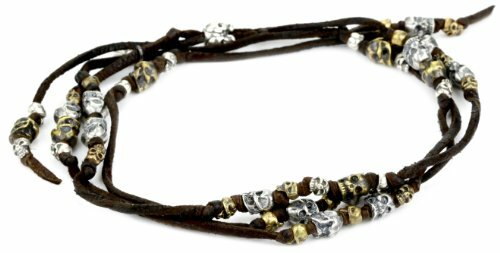 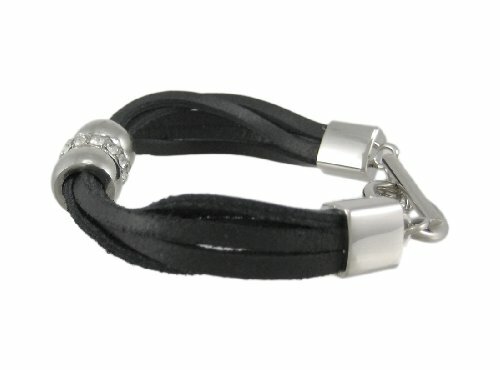 The black leather strands feature a rhinestone encrusted bead between 2 chrome-plated beads, and has a toggle clasp. 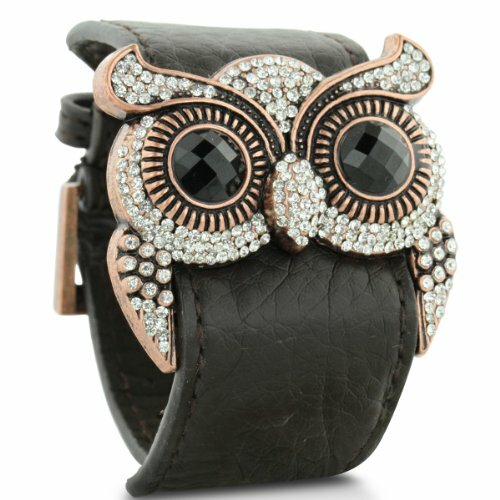 It looks amazing with jeans, or with your favorite little black dress!